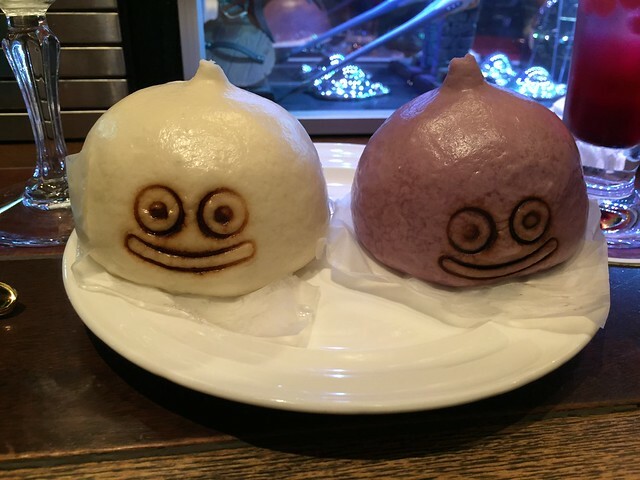 Dragon Quest Café Photo Tour! Hey there! I've been trying to jump back into the blogging scene and thought I'd finally get back into the swing of things by showcasing some of the photos I took during my past year in Japan! Given some of the graphics on my Facebook and Twitter pages, it shouldn't come as a surprise that I'm a huge fan of the Dragon Quest series of games! Additionally, I'm beyond ecstatic that the 3DS ports of Dragon Quest VII and Dragon Quest VIII were finally announced for English localization. (I'd almost resigned myself to buying Japanese copies!) 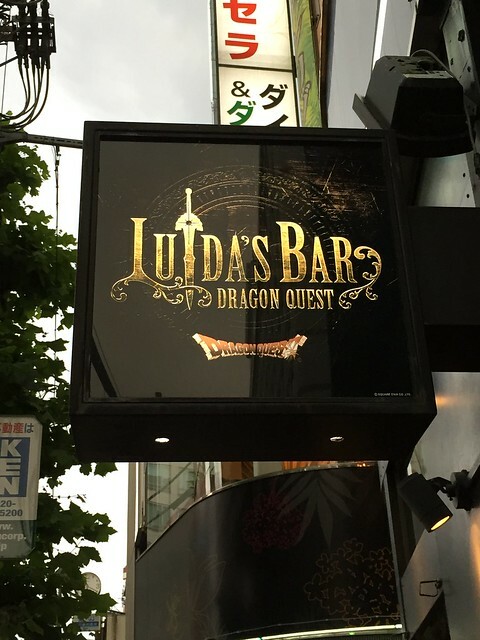 In honor of these titles coming west I thought I'd post a photo tour of the Dragon Quest themed restaurant, "Luida's Bar," named after the tavern in Dragon Quest III where you recruit party members. Ever since I read about this paradise for Dragon Quest fans I've been dying to check it out, so I made sure to set aside some time to track this place down during one of my Tokyo visits. Located in the bustling district of Roppongi and tucked away beneath a karaoke establishment, Luida's Bar is located slightly far out from the established nerd and otaku mecca of Akihabara. Additionally, barring some modest signage facing the street and some outward decor, this place easily blends into the main drag of the area and can be missed unless you're actively looking for it. 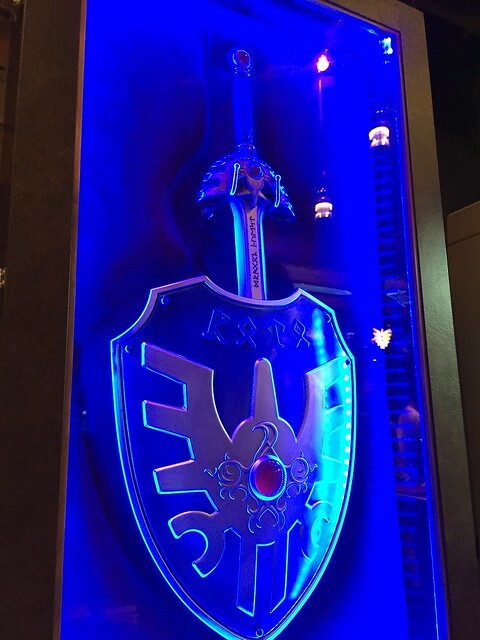 Some of the super cool decorations inside the bar: a replica of the sword and shield of Roto/Erdrick! Slime meat buns! The bar's most iconic food item and quite possibly the most adorable thing I've ever eaten! The white one was a standard pork bun and the blue one had a sweet potato filling. Both were amazing!